The on line service is designed to bring a raft of benefits to fleet operators, charter managers and yacht dealers worldwide. The Delivery Management Dashboard is a powerful tool that helps you manage yacht deliveries all in one place. Know where your boats are, see quotes, download statements and invoices, see latest reports from the captain and operations desk. With access to information in one place this will help identify and record warranty issues, know when you can start taking charter booking and advise clients and yacht owners; It will enable clients to manage fleets more efficiently. Support from our Sea Router service improves crossing time and fuel efficiency. The image below has been filtered from our Atlantic fleet to show two Lagoon Catamarans that recently departed France bound for Tortola. Reliance yacht Management, has announced that Searout will be the preferred service providing supporting captains with weather and routing information . As an established provider of marine weather Searout offer a complete portfolio of services customised for our yacht deliveries. Searout have a deep understanding of yacht deliveries and are the perfect partner to support the Reliance Yacht Management Operations desk. How Did That Boat Get There? You’ve decided to buy your first boat. That’s great – well done. Two thirds of the earth’s surface is covered by water, You are now able to see more of the planet than ever before and much more than walking, or by car, or even flying. There are many reasons why people buy yachts, to cruise, to race, to explore, to relax, to live aboard and a good broker will advise what is best for you. Along with yacht ownership comes certain responsibilities and requisite services such as insurance, finance and moorings. These are obvious and will come as no surprise, and many will already have at least a minimum understanding of them. The one service that is often overlooked, mis-understood and often forgotten about, almost until the sale is made, is the delivery. Seeing the latest 45ft production catamaran at Annapolis in its pristine boat show condition, one can be forgiven for not giving any thought as to how it got there. Walk around any boat show, marina or boat yard in the world and you will see vessels built in France, South Africa, Poland, China, Brazil and many other places. There is no restriction geographically on the yachts available to purchase because of specialist delivery services. 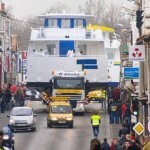 A yacht may undertake one or more mode of transport on its way to market. The first being is to get the yacht from the factory to it natural environment – water. No problem if the manufacturer is right there on the water and no more than a crane and slings are needed. But more often than not yachts are built away from the coast and need to negotiate the public highway. With the average size of pleasure yachts increasing every year, this becomes an ever increasing challenge to the trucking companies. Specialised trucks have the ability to manoeuvre under, around and over obstacles. It is a regular sight for some residents in the Vendee, France to see 45 ft Catamarans going past, inches from their bedroom windows on their way to Les Sables d’Olonne. Commissioning completes the building process and launches the boat. So now the boat is in the water and with access to the sea that connects to the rest of the world. A properly designed, built and commissioned yacht can, in the right hands go anywhere in the world. 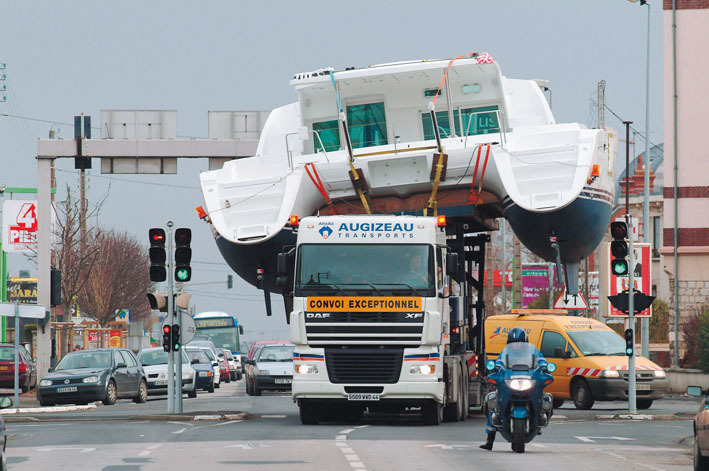 Professional and specialist delivery captains sail many thousands of miles every year moving yachts to boat shows, dealers, charter fleets and private owners around the world. 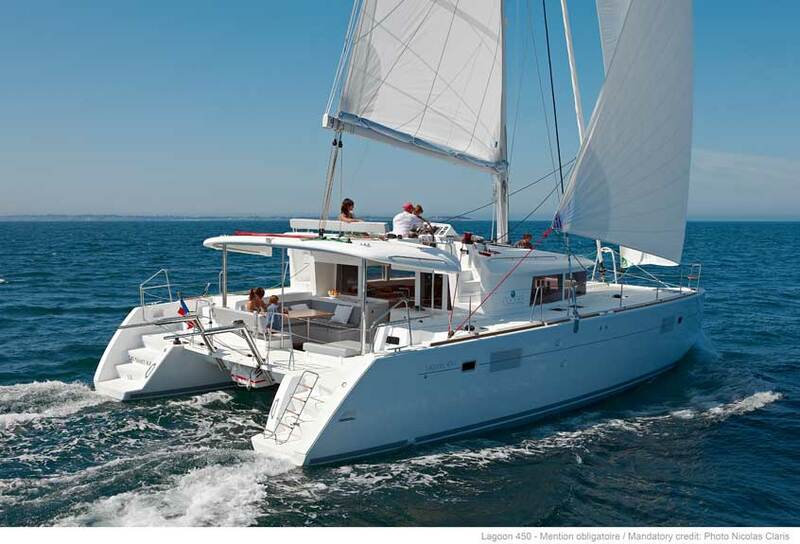 Commuting to work can be sailing from France to the Caribbean or Cape Town to Florida. It takes a special kind or captain to do this work. 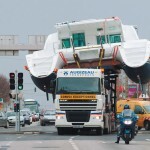 A special mind-set is needed for sailing deliveries that is neither cruising nor racing. Every aspect of the job is to get the yacht to the destination safely, efficiently and in perfect condition. Time taken before departure is spent identifying potential areas that need protection. Stove tops are covered in foil, cushions are removed and stowed or covered in plastic, mattresses covered and yards of pipe insulation are used to protect vulnerable edges. With interiors stripped and protected it will look nothing like the boat you saw at the boat show. There is a good video that we produced a few years ago that shows the whole process. With 4000nm to go, surfaces are covered and even offcuts from a local carpet store are used to protect the floor. Outside, all cushions are removed and stowed below away from sunlight never to be used on delivery. So you’ve done your homework, followed up on references, asked your broker for recommendations, read the small print and appointed the delivery company. Now is a leap of faith. You hand over your money and the keys to the boat. Your baby, your dreams, your future happiness is in the hands of others who you may never meet. And the delivery company takes your money and your boat and sails away with it. Sounds scary – but it shouldn’t be. By choosing an established delivery company and not just a private captain you will have the reassurance that there is always someone there at the end of the phone to answer all you questions. The delivery company may set up a dedicated webpage just for you that enables you to follow the delivery as satellite tracking follows your boat. 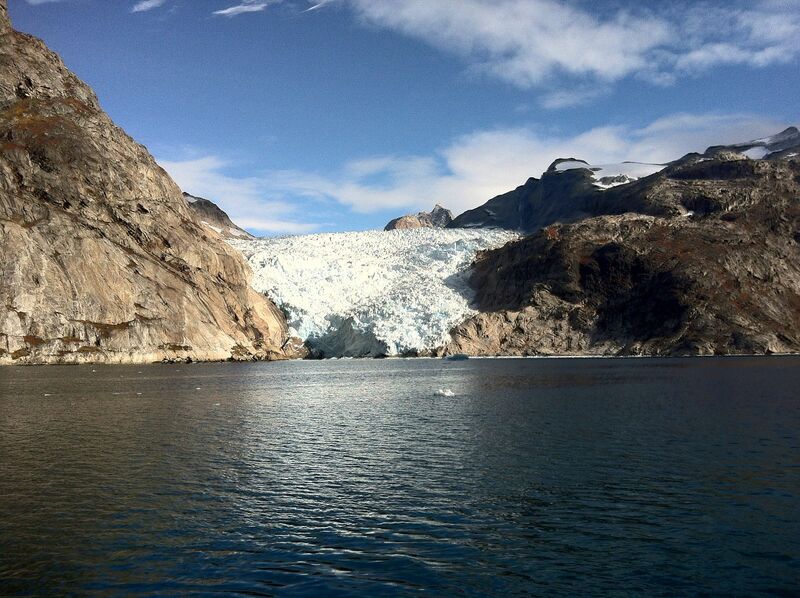 You receive photos, videos, weather updates, ETAs, reports from the captain and support staff. You will be comforted in the fact that a professional captain and shorebased support team have your interests at heart and the boat is in safe and experienced hands. You can relax and enjoy following the delivery live on line, share the anticipation of its arrival with friends and family and engage with the process of it delivery as you see the row dots increase across the screen to the boat’s destination. There is a good video made by a crewmember that shows life on board a boat on delivery. The cooking, cleaning, and the constant vigilance to keep the boat in great condition. It can take a good 24-48 hours to give the boat a good deep clean, to put the cushions back, put curtains up, remove all the protection and write up the condition reports. The captain has just sailed your boat hundreds or thousands of miles. He knows it. Take time to de brief and get a better understanding of your boat. Schaffhausen, Switzerland and Yarmouth, Maine/March 3, 2016/Business Wire – Garmin Ltd. (NASDAQ: GRMN) announced today that it has completed the acquisition of DeLorme, a privately-held company that designs and markets consumer based satellite tracking devices with two-way communication and navigational capabilities. DeLorme pioneered the inReach series of affordable two-way satellite communication devices for the consumer market. These GPS-enabled devices allow the user to send and receive satellite text messages or trigger an SOS for emergency help, anywhere in the world. In addition to inReach, DeLorme has an extensive library of digital cartography and enterprise GIS software, as well as traditional mapping. Garmin will retain most of the DeLorme associates and will continue operations at its existing location in Yarmouth, Maine. The facility will operate primarily as a research and development office and the team will continue to develop two-way satellite communication and cartographic solutions. Financial terms of the transaction were not released. Garmin Ltd. is incorporated in Schaffhausen, Switzerland, and its principal subsidiaries are located in the United States, Taiwan and the United Kingdom. Garmin is a registered trademark of Garmin Ltd. or its subsidiaries. On the 3rd December 2010 it was reported that Lalou Roucayrol’s Multi50 trimaran Région Aquitaine – Port-Médoc had capsized while on a delivery back from the finish of the Route du Rhum. It happened in possibly the worst position around 1,000 miles from Bermuda, the Azores and the Caribbean. Former Reliance Yacht Management delivery, Captain Antoine departs for a new life-time adventure: “the Golden Globe Race”. A solo round-the-world yacht race starting in June 2018 to celebrate the 50th anniversary of the first round-the-world won by Robin knock Johnson. This is a major step change in Antoine’s life and his family. The overall project comprises a number of International races, conferences, TV broadcast and an exciting education program to promote distance education. A more detailed planning and commitment calendar will be released early 2016. We are always delighted to announce the latest corporate client that we are supporting. Beboats.com is a new name in yacht charters and one to watch for the future. We are especially pleased to see that one time Reliance Captain, Irene Legault is a central figure within the Beboats organisation. She brings years of industry experience and customer service skills. 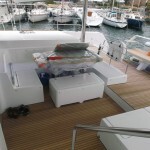 Beboats offer yachts for charter throughout the Mediterranean and worldwide, skippered and bareboat. Reliance Yacht Management will be supporting Beboats providing skilled, qualified and insured captains.